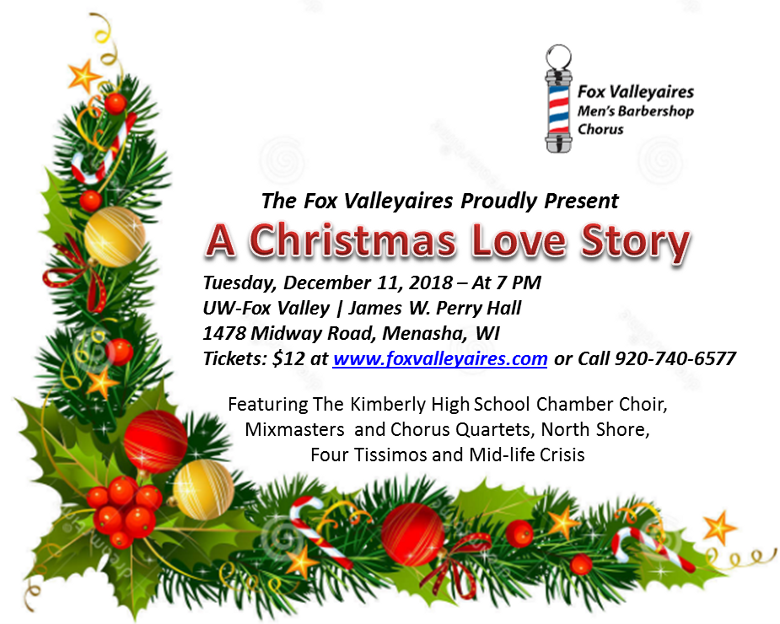 Description: Come see and hear "A Christmas Love Story" at UW-Fox Valley's Perry Hall on Tuesday, December 11 at 7:00 PM. 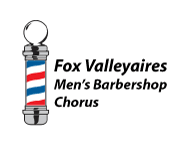 This year's Christmas show will include barbershop classics sung by our chorus and chapter quartets, and will also feature music from our special guests, the Kimberly High School Chamber Choir. Tickets are only $12 and are available from any chorus member or by calling 920-740-6577.